I would like to thank Martin of My Lock Locksmiths for attwnding our wellness studio in Fleet at short notice, to repair and replacea door handle which had been pulled off by one of our stronger clients! 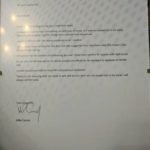 At the same time we asked him to give us some advice and sort out a number of other lock problems at our home which he did. He gave us excellent advice including saving us money by not having to replace some locks we thought we might need to. 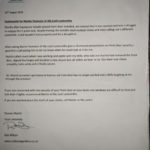 All in all i am very happy to recommend Martin and My Lock Locksmiths for their professional and competitively priced expertiseto you without hesitation. Shortly after getting a double glazed door installed, we noticed that it was twisted and was difficult to engage the multipoint lock. 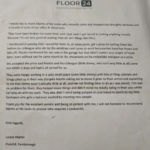 Despite having the installers back multiple times and even calling out a different locksmith it still would not lock properly and let a draught in. 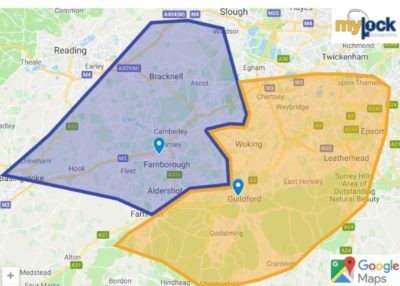 After seeing Martin of My Lock Locksmiths give a 10 minute presentation on front door security, i gave him a call asking him to let me know when he could take a look at it for me. Martin called around when i was working and spoke with my wife, He proceeded to remove the door adjust the hingesand install a new lock all within an hour or so, our door now closes and locks correctly. 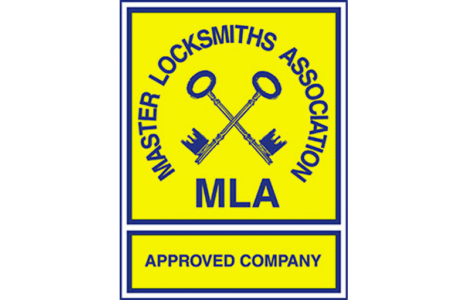 If you are concerned with security of your doors or have windows that are difficult to operate and lock then i highly recommend Martin at My Lock Locksmiths. 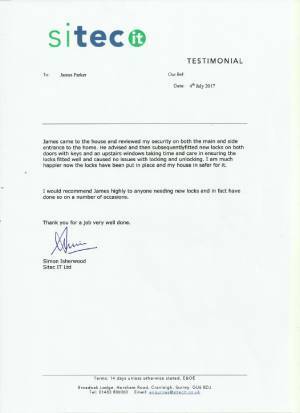 Click the image to read this testimonial for security check and lock change. Opens in a new window. 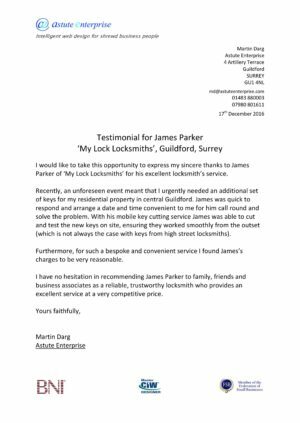 Click the image to read this testimonial for James cutting keys from Astute Enterprise. Opens in a new window.